Thankfully, the creators of WordPress have provided a good scope of extending the core functionalists of a WordPress based website in the form of Plugins. A plugin in a WordPress site allows you to extend the features of an area where you feel the need to improve. For example, if your WordPress site only supports a basic blog of five authors, you might feel a need to add those plug ins which will enhance your editorial process and accelerate the way articles are being written, posted, and reviewed. Thus, through this way you can add several more plugins to improve the overall process of your website. In this article, you’ll get to know about a variety of some great plugins that will surely revamp the process and operations of your WordPress site. These are discussed in detail below. This is a great plugin that enables you to manage and schedule your posts and content. Editorial Calendar by adding a calendar page to your post section area lets you view the status of each posts that needs to be schedule for that day. It shows the list of multiple posts in a chronological order. Editorial plugin helps you to quickly edit titles, publishing time, and adjust the current status of your posts from “draft to pending”, or from “Scheduled or Published”. With its “quick edit” option you can easily adjust the date of post, and automatically update the date swamp. Editorial plugin is an ideal choice for those who publish multiple articles on a single day. 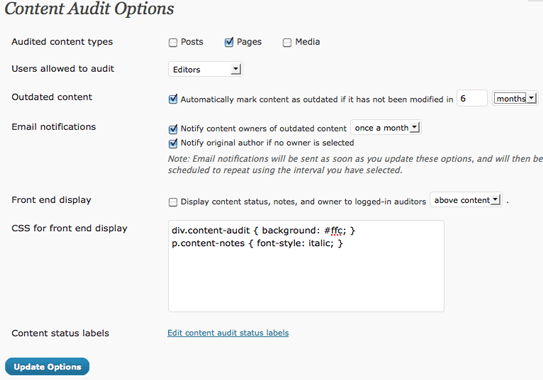 Content Audit is a versatile WordPress plugin that enables you and your members to view and audit the content and determine if it’s still relevant to you or not. The plugin functions in tandem with the posts, content, pages, and media. It empowers you with the ability to mark any content as outdated the after completion of a specific period of time. Content can be highlighted in the following categories: (a) outdated, (b) redundant, (c) trivial. In addition, content can also be marked if it needs any kind of SEO or styling review. Edit Flow is one of the most sophisticated WordPress editorial plugin available. This feature-rich plugin comes complete with a calendar for a convenient scheduling of posts, custom status bar that depicts you the current status of your post or the page it is located in, seamless communication between writers and editors, and editorial meta and notifications to inform both authors and editors about the status of their post and pages. Adminize is a very useful WordPress plugin that lets you hide all the unnecessary content or anything which you find irrelevant from your website. This serves mainly for the purpose to keep everything organized for the clients so that they don’t feel confused due to loads of information, and access only those for which they actually care about. The plugin provides facilities to alter back-end options; write post options, types of pages, options for links and menu. With its export function, user can easily duplicate settings across several other websites. Codepress Admin Columns enable users to customize their admin screen that suit the needs of all different types of users and posts. Users can simply adjust the columns that they want to display in each area, and hide the ones that they don’t need any more. 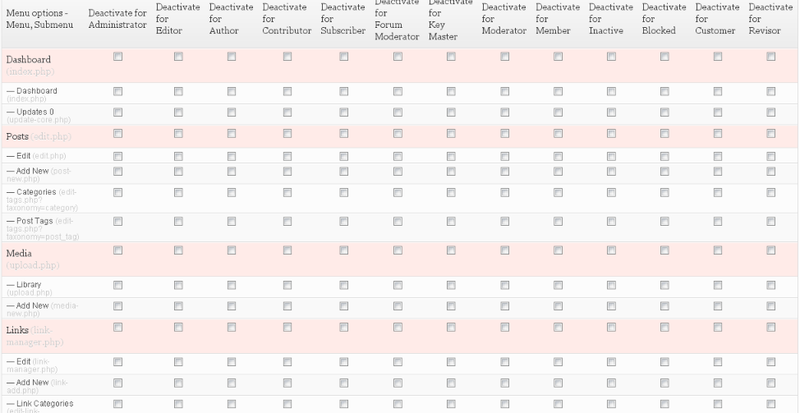 users can also add custom fields, and the plugin is compatible with some popular admin plugins. Custom Admin Branding offers a quick and convenient way to brand your WordPress website for your clients or staff members. 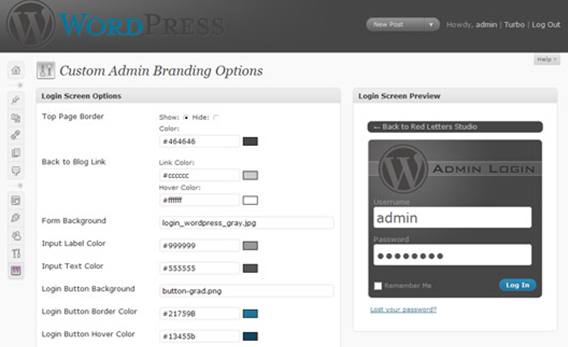 Its feature-rich design allows you to adjust the log-in logo, admin bar, and footer logo on the plugin settings page. Users can also enhance the look of the logo by using some attractive color schemes and designs. 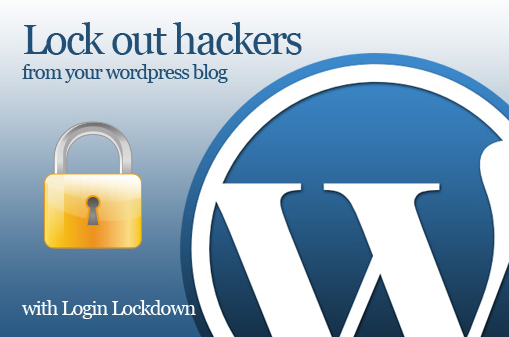 WordPress is currently one of the most popular content management system in the world. It has thousands of plugins that can be used to enhance the value and functioning of your website. They work as little creators that can instantly bring in new improvements and enhancements on your website. So, which plugin are you going to use for your WordPress website?